Caffè Vergnano celebrates Earth Day! Earth Day is celebrated worldwide each year on 22 April. This anniversary was launched for the first time by the United Nations in 1970 with the aim of raising public awareness on environmental issues. Over the years, this celebration has become increasingly important and viral with the #earthday hashtag, thanks to the explosion of the Internet and social networks. Every year, World Earth Day turns the spotlight on numerous and increasingly more relevant green issues, each edition of Earth Day focusing on a specific campaign. The 2018 edition focuses on the ever-increasing production of plastic waste and the resulting pollution of water sources. From poisoning marine life to littering our beaches and landscapes and clogging our landfills, the exponential growth of plastics is more and more a real threat to the survival of our planet. In response, Earth Day 2018 will gather and disseminate information, organise and support activities to fundamentally change human attitude and behaviour about plastics. Indeed, the ambitious goal is to bring the citizens of the world to a new level of awareness on plastic pollution, promoting a virtuous circle of positive behaviour. Currently, about 300 million tons of plastic are produced each year to make bags, bottles, packaging and other products for people from all over the world. Unfortunately, only about ten percent of this plastic is recycled and re-used correctly. The rest ends up in landfills or as waste in our natural environment, where dangerous chemicals disperse into the soil and the surrounding waters, endangering human beings and wildlife. The www.earthday.org site gathers many initiatives promoted by companies, organisations and individuals to contribute in support of the ongoing campaign. In addition, ahead of Earth Day, an online calculator was released (available here) allowing everyone to quantify their production of plastic waste on a day-to-day basis, together with a toolkit download it here featuring good practices to reduce the quantity of plastic waste. A variety of products have been taken into consideration: from plastic plates to toothbrushes. 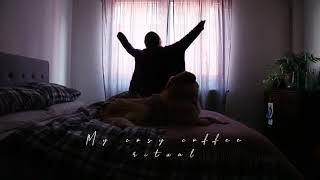 They are all everyday objects, just like coffee. Indeed, with the explosion of coffee in capsules, espresso has also become a not always sustainable pleasure. Just think of the guidelines of several European cities such as Hamburg, which, in order to reduce the production of non-recyclable plastic waste, banned the use of coffee in plastic capsules already two years ago. Does this mean we should feel guilty when we drink espresso at home? Actually, no. The solution is all proudly Italian. In 2015, well in advance of the trend, Caffè Vergnano, the oldest Italian coffee roasting company, launched Èspresso 1882, its first mass-market range of compostable capsules compatible with Nespresso. Being compostable means that, once the coffee has been dispensed, the capsule can be thrown into the organic waste bin and later recovered to be transformed into compost. This innovative and cutting-edge solution offers consumers the possibility to enjoy the ultimate pleasure of authentic Italian espresso while embracing sustainability and awareness. Some key figures: in 2017, 60 million of Caffè Vergnano compostable capsules were sold all over the world, amounting to 120 tons of plastic that can be transformed into compost, without being accumulated in landfills. These significant figures can play an important role in reducing plastic waste if combined with proper management of waste sorting on a daily basis. The Èspresso 1882 capsules are certified with Vinçotte’s (internationally recognized organisation) “OK compost” label and you can find them in retail outlets or online from Caffè Vergnano’s e-commerce store. They are eco-friendly, and the coffee is as good as ever. These new capsules preserve the aroma of Caffè Vergnano’s blend while ensuring excellent coffee quality in the cup. – The Tin Configurator, the online platform to customise your tin, features two special backgrounds dedicated to Earth Day 2018. 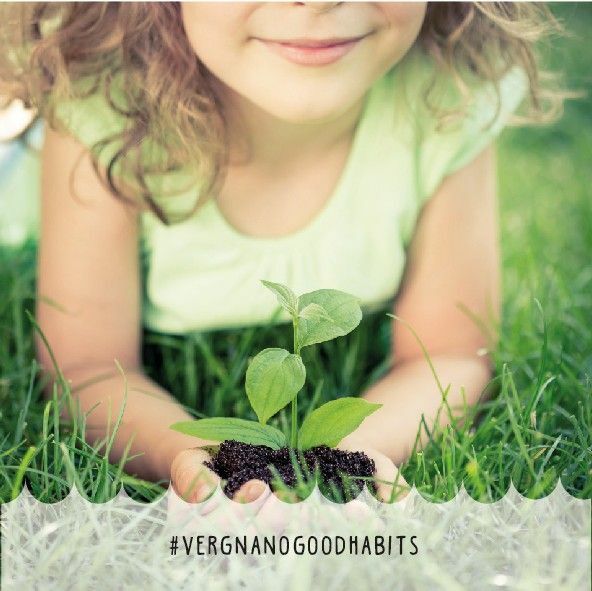 – On 16 April (until 13 May) the #vergnanogoodhabits reward initiative will be launched on Instagram to encourage users to post photos of their good habits around a cup of coffee with a chance to win discount coupons for the e-commerce store. – The www.caffevergnano.com site now features the new #bevicompostabilmente section, entirely dedicated to the green initiatives promoted by the Company, and during the week of Earth Day 2018, the home page will be entirely green. – Caffè Vergnano’s e-commerce promotion for the purchase of Èspresso 1882 compostable capsules. – An event in partnership with Eataly US: in front of the stores in New York, Boston, and Los Angeles a “fleet” of green bikes branded Caffè Vergnano will grab the attention of passers-by who can take part in a fun “green” questionnaire to win discount coupons and a Made in Italy recipe book. All the info is available at www.caffevergnano.com, the home page that during Earth Day week will be dressed in green!